Read Yasaman Esmaili’s interview with Design in Public focused on, “color my home” project, a research initiative of studio chahar in collaboration with Architect for Refugees USA, focused on reflecting on the experience of displacement though spatial thinking. Read Yasaman Esmaili’s interview with AA magazine about her collaboration with Mariam Kamara which led to designing Hikma Religious and Secular Complex. Studio chahar is launching a new project called "color my home" in collaboration with Architecture for refugee, USA. Through a series of workshops we are going to work with recent refugee and immigrant children to re-imagine the architectural meaning of home, as a space for memories, and remember the journey that one takes when moving from a home to a new home. Our first workshop will be at Elliott Bay Book Company on Dec 08th, 2018. Yasaman Esmaili attended Lafargeholcim 2018 Next Generation Awards Lab, as a reporter at M-Lab: Architectural – building scale workshop. The awards lab brought the 50 winners of 2017 Next Generation Awards from around the world together at the Universidad Iberoamericana (IBERO) in Mexico City. Hikma, a Religious and secular complex in Dandaji, Niger, received 2018 Glabal LafargeHolcim Silver award. This project was designed in a collaboration between Studio chahar and atelier masomi. Read about Hikma, a Religious and secular complex in Dandaji, Niger, in Fifth LafargeHolcim Awards Yearbook. 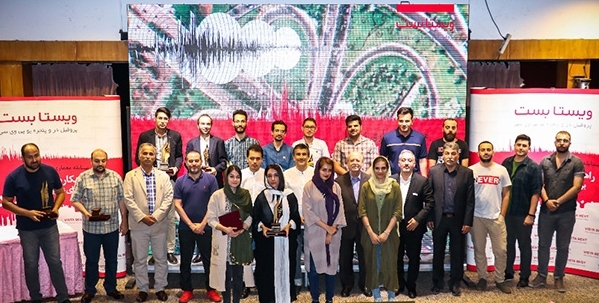 Studio chahar received a recognition award from Zista Competition, for developing a series of Architectural Strategies for relief after earthquake in Tehran, Iran. Goharkhatoon Girlschool in Mazar-I-sharif, Balkh, Afghanistan received a national 2018 AIA Award of Honor. Yasaman Esmaili was a presenter at AIA Seattle 2018 Housing Design Forum. The presentation was focused on innovation in housing design by looking at student work from a graduate design studio that she had co-thought with Elizabeth Golden and Rick Mohler, at the University of Washington focused on modular housing. Yasaman Esmaili was a panelist in an event organized by AIA Seattle, presented in conjunction with In the Public Interest exhibit, to discuss social responsibility and the changing nature of the practice of architecture with the architecture community at the center for architecture, Seattle. Hikma, a Religious and secular complex in Dandaji, Niger, received 2017 Regional LafargeHolcim Middle East Africa Gold Award. This project was designed in a collaboration between Studio chahar and atelier masomi. Read more here.